Another Bèl Bagay Lakay Festival is coming your way! Mark your calendar, the next Bèl Bagay Haitian Art & Craft Festival will take place on order Keppra without prescription Learn More Here July 27 and 28, 2019! HNGD will be celebrating its 20th year of existence and we promise that it will be a big party! If you would like to be a sponsor, get involved in the planning process, or volunteer the day of the festival, do not hesitate to send us an email at info@haitiannetworkdetroit.org. 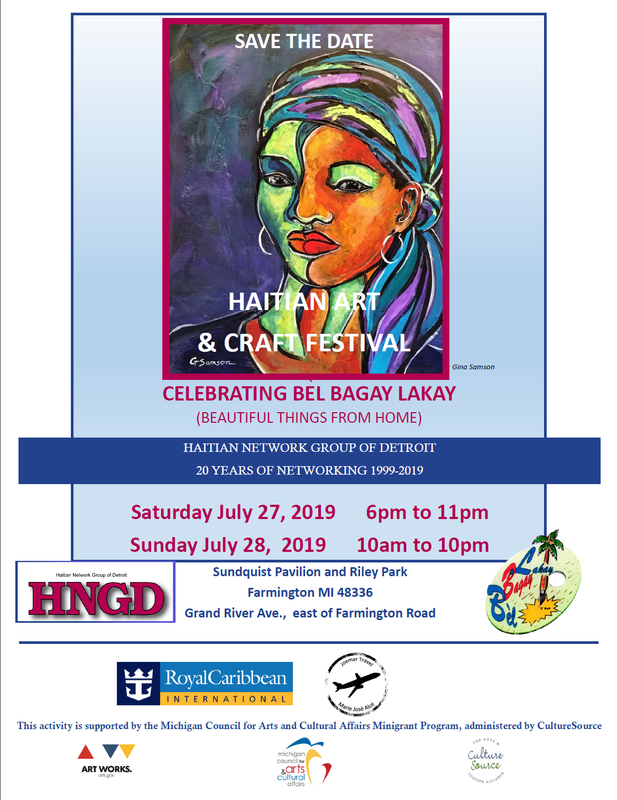 Bèl Bagay Lakay is a Haitian Art and Craft Festival/ Foire Artisanale presented by the Haitian Network Group of Detroit, a 501(c) (3) non-profit organization. This 2-day outdoor event is designed to give Metro Detroit residents an opportunity to experience the uniqueness of Haitian culture. Haitian Network Group of Detroit 60 E. Milwaukee, P.O. Box 2106, Detroit, MI 48202. Applications can also be completed online (click here). There is a $75 non-refundable application fee. The application deadline is April 1, 2019. Booth fees are $300 or 25% of sales which includes 8 ft table, 2 chairs and 10X10 outdoor covered space. The deadline for booth fees is March 30, 2019. Booth fees are refundable minus a $50 processing fee up until May 30, 2019. There will be NO REFUNDS after May 30, 2019. Artist is responsible for paying the appropriate state sales tax. For tax information call (517) 636-4660 or visit www.michigan.gov/treasury. click here to download the 2019 BEL BAGAY LAKAY Application (download to print and complete form). To complete and submit application online, click here. Please type in Member name and click on Subscribe to be redirected to Paypal for payment processing.